The IRS recently released proposed regulations regarding the application of Internal Revenue Code Section 409A to nonqualified deferred compensation plans (“NDCP”). The proposed regulations modify and clarify previous guidance. 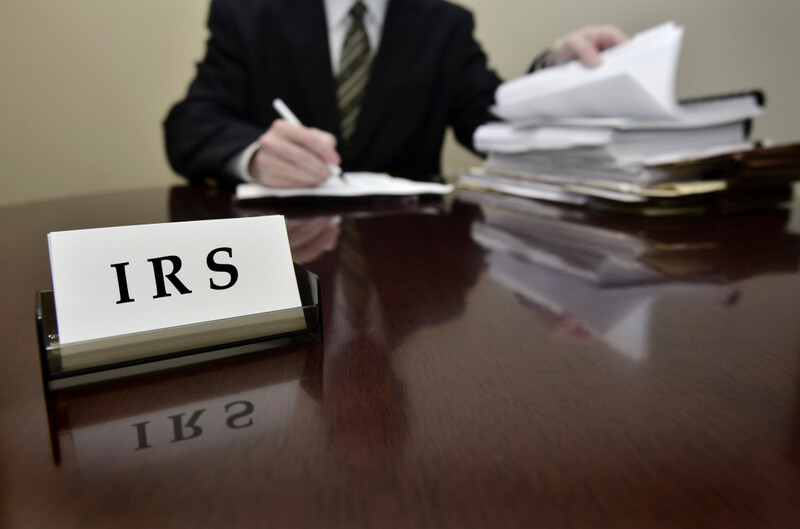 The proposed rules will not be applicable until issued as final, but the IRS explained that taxpayers may now rely on the proposed rules and the IRS will not assert positions that are contrary to the position set forth in them. This summary highlights many of the important issues raised in the proposed rules. Section 409A provides that, to the extent that certain requirements are not met, amounts deferred under a NDCP for current and prior tax years that are not subject to a substantial risk of forfeiture and were not previously included in income by the taxpayer are currently includible in gross income. Amounts deferred in violation of Section 409A are generally includible in the service provider’s income and subject to a 20 percent additional tax plus interest. Clarification of Application of Section 409A. The proposed rules clarify that Section 409A applies to NDCPs separately in addition to any other sections of the Code applicable to NDCPs, such as Sections 457A and 457(f). Expansion of Short-Term Deferral Exception. The proposed rules also modify the short-term deferral exception. Short-term deferral payments, which normally must be paid within the applicable 2-½ month period, can be delayed if the payment would be administratively impracticable, would jeopardize the employer’s ability to continue as a going concern, or would reasonably result in a violation of the excess compensation rules under Code Section 162(m). The proposed rules supplement existing exceptions to include payments that would otherwise qualify as short-term deferrals, but are made outside the short-term deferral period, if the recipient reasonably believes that making the payment during that period would violate federal securities law. Separation Pay Plan Exception. The proposed rules clarify that certain separation pay plans that do not provide for a deferral of compensation may apply to a service provider who had no compensation from the service recipient during the year preceding the year in which a separation from service occurs. Reduction in Stock Right Payments. “Service recipient stock” is generally an employer’s common stock, excluding any stock that is subject to a mandatory repurchase obligation, or permanent put or call right, if the stock price under such right or obligation is based on a measure other than the fair market value of the stock. Certain stock rights granted in connection with service recipient stock do not provide for deferral of compensation under Section 409A. The proposed rules provide that a stock’s price will still be deemed to be based on the stock’s fair market value if the amount payable upon an employee’s involuntary separation from service for cause, or the occurrence of a condition that is within the employee’s control, is based on a measure that is less than the stock’s fair market value. Eligible Issuer of Service Recipient Stock. The proposed rules modify the definition of “eligible issuer of service recipient stock” to include a corporation or other entity for which a person is reasonably expected to begin, and actually begins, providing services within 12 months after the grant date of a stock right. This change will permit service recipients to offer stock options or other stock rights while negotiating with potential employees. Legal Fees and Expenses. Under the proposed rules, a plan pursuant to which a service provider has a right to payment or reimbursement of reasonable attorneys’ fees and expenses incurred to pursue a bona fide claim by the employee against the employer with respect to the employment relationship does not provide for a deferral of compensation. Transaction-Based Compensation. The proposed rules make clear that the rules for transaction-based compensations apply to stock rights that do not provide for a deferral of compensation and statutory stock options. Therefore, in connection with a transaction, the cashing out of stock options or other stock rights in a manner consistent with the transaction-based compensation rules will mean that the payments to the stock option or stock right holders will not constitute a deferral of compensation. Terminating Plans. The proposed rules provide for accelerated payments from a deferred compensation plan if the plan sponsor terminates and liquidates all plans that would be aggregated with the terminated plan (under the applicable plan aggregation rules). The proposed rules clarify that the acceleration of a payment pursuant to the plan termination rules is permitted only if the employer terminates and liquidates all its plans of the same category, and not merely all plans in the same category in which a particular employee actually participates, if the same service provider had deferrals of compensation under all such plans. In addition, for a period of three years following the termination of a plan, the service recipient cannot adopt a new plan of the same category as the terminated plan, regardless of which service providers participate in the plan. When a Payment is Made. The proposed rules create a general rule for when a payment is deemed to be made pursuant to Section 409A. A payment is made when any taxable benefit is actually or constructively received or upon the transfer, cancellation or reduction of an amount of deferred compensation in exchange for benefits under a welfare plan, a non-taxable fringe benefit or any other no taxable benefit. The following are not considered payments: (1) a grant of an option that does not have a readily ascertainable fair market value; (2) a transfer of property that is substantially non-vested with respect to which the service provider does not make a valid Section 83(b) election; or (3) a contribution to a trust under Section 402(b) or a transfer or creation of a beneficial interest in such trust unless and until such amount is includible in income under Section 402(b). This is a summary of a number of the important Section 409A proposed rules. Plan sponsors should review the entire list of the proposed rules in conjunction with an attorney to make sure that existing plans comply with the IRS’s interpretation of Section 409A. Please contact Joel Farrar to discuss.